I like a good salad in the summer. June strawberries are unlike strawberries of any other season. There are and endless variety of tasty garden treats available in the summer. I change my salads with the season choosing whatever is fresh and well-priced at the market. 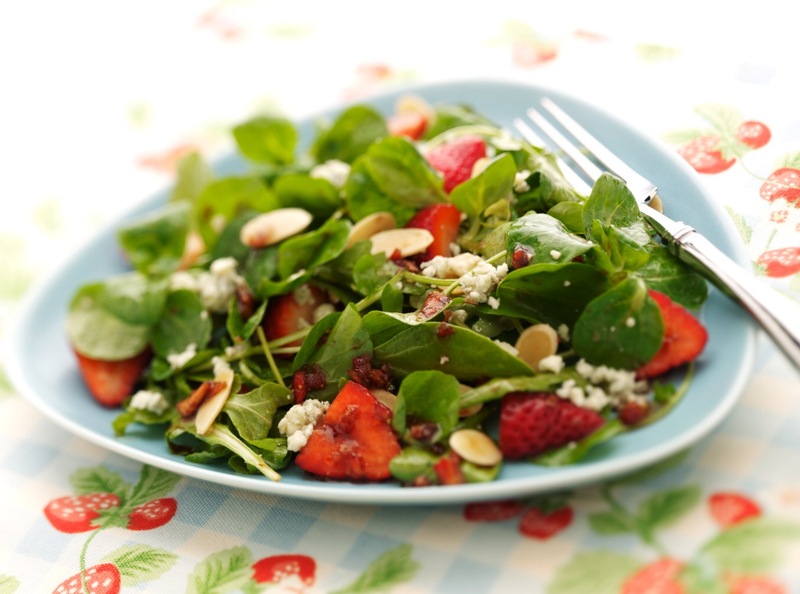 A salad in our household can take on an amazing variety of dishes. The primary request to have a salad enjoyed is homemade dressing. I once ate a salad without dressing. It was at a church function and those who were working in the kitchen were somehow under the false impression that everyone like Italian bottled dressing. Well, it actually tasted good. I had consumed the above mentioned bottled dressing at a previous event. It left me hard. It didn’t leave me, would be more accurate. I endured two days heartburn from that encounter and promised myself not to make the mistake twice. I ate a salad without dressing. Once. So that totals two times I ate a salad made a particular way at church before I decided to skip the tossed salad. A more prudent decision would have been to buy a reasonable bottle of salad dressing and keep it in the church refrigerator. I wonder how long it will last? I noticed there are a fair number of people not eating the tossed salad at church suppers. I like a good salad dressing. I make my own at home. It is astoundingly simple. Some lemon juice, vinegar, oil, salt, sugar (or honey) are all that are needed. You can make a good dressing plenty of other ways, but those ingredients make a delightful sweet dressing. The key to making salad dressing is that you must mix the vinegar and oil thoroughly. It is really simple. A wire whisk will mix a creamy dressing in no time. You can pour the ingredients in a jar with a good lid and shake to achieve the same results. The reason the mixing is key lies in the fact that vinegar and oil do not like to mix. You shake a bottle of salad dressing before each use because the oil and vinegar separate, quickly, on their own. You may think I have changed the focus of this blog. Did she convert this to a cooking blog? No, friends. I am just keen on analogies for talking about the things of the Spirit. Eternal things are hard for me to get my brain around without an analogy or as Jesus used a parable. Salad is like the Word of God. There is much good fruit in the bowl. You get different good things the savor overtime you come to the table. My favorite part is the sweet stuff that binds it all together. God is like a sweet salad dressing. I fear I may have shocked some of my readers. The law bites like vinegar and the gospel soothes like oil. I once served salads at t church dinner sprinkled only with balsamic vinegar. I read that you could do this. I did not make the idea up. It was in a cooking magazine. They must have anticipated a really good balsamic vinegar be used. It did not work very well for me. We cleaned quite a bit of uneaten salad off the plates at the end of that meal. It seemed like a good idea. It came from a fancy magazine. We were pressed for time and help. I’ve been to worship experiences that tried the same thing. The law and our sinfulness is important. But without the gospel mixed in it is also depressing. Some people think that you can scare people into religion by drawing attention to sin. You can frighten people into a religion, but not into a relationship with Christ. Another group runs the opposite direction and fears the mention of sin. They hold that all we should talk about is Christ ‘s love. In this congregation you will never hear sin mention. Sin is viewed as too harsh and discouraging. As an enlightened group they postulate that right and wrong are to vague and variable to quantify. Yet another segment of Christians believe that the most effective message is focused on other people’s sin. This group focuses intently on specific sins, particularly those that the majority have no desire to commit. In this church you will never hear a word about selfishness, greed, gossip or over-consumption. In my humble opinion the best salad dressing is well-mixed. A good blend of all our shortcomings along with a hearty dose of forgiveness through Jesus Christ. We need reminded that there is definitive truth and that it is Christ who should judge, not us. A summer fruit salad is best dressed in the “sweet stuff”, the loving, valid Word of God. How Fast is Time Flying?